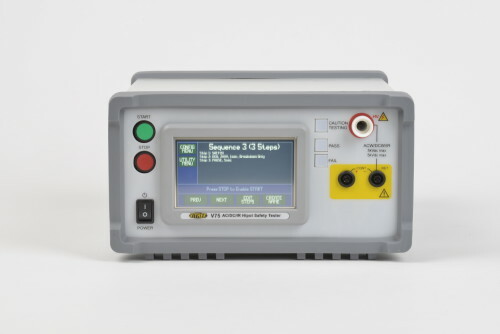 Vitrek has incorporated advanced, high speed DSP technology into the V7X Series to bring the fast and capable feature rich electrical safety testers available. 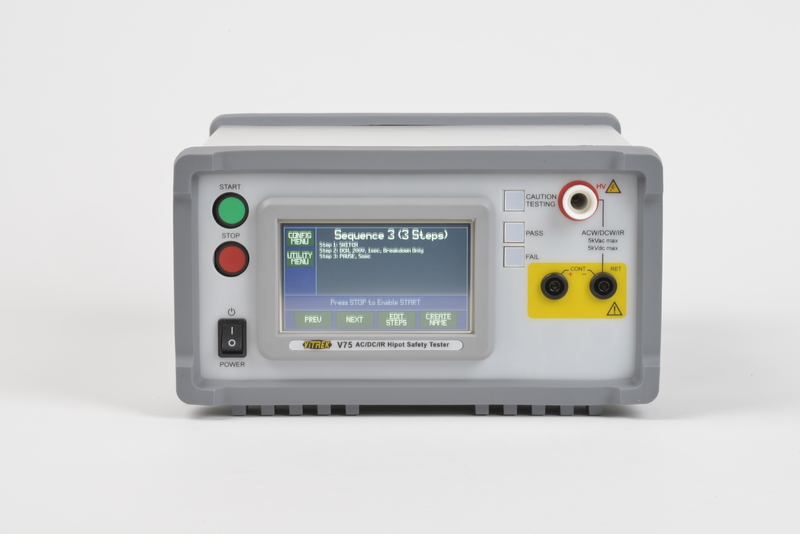 The compact & economical Vitrek V7X Series Hipot Testers combine with easy-to-use color touch screen set the standard for price/performance ratio. Choose from six low cost V7X Series offering AC/DC Hipot to 5kV, IR to 450GΩ, Ground Bond up to 30Arms, Continuity and Built-in HV Switching. 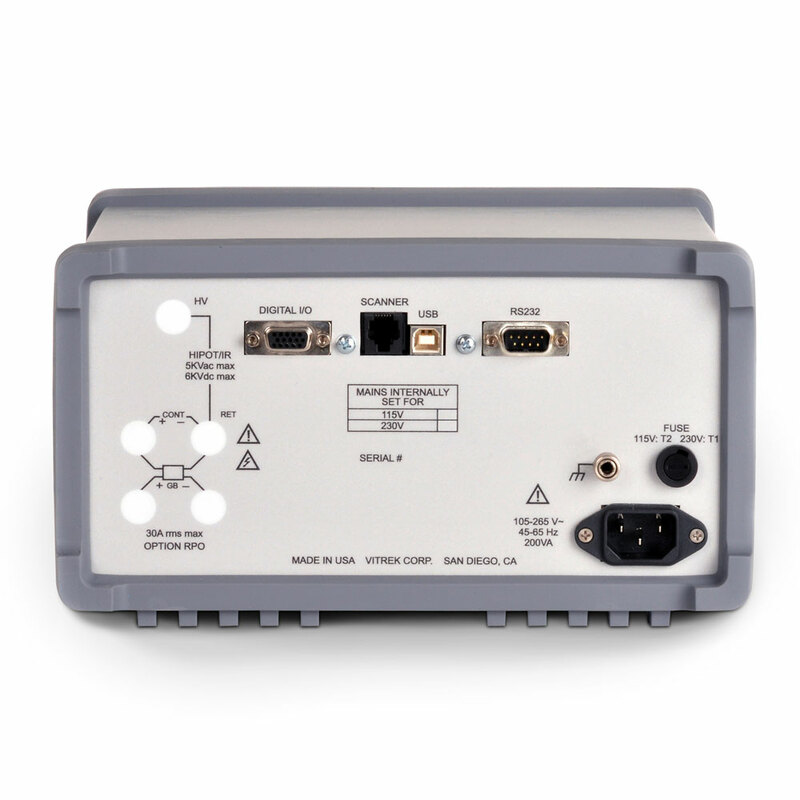 USB, RS232, Digital I/O and HV Scanner control port all come standard. 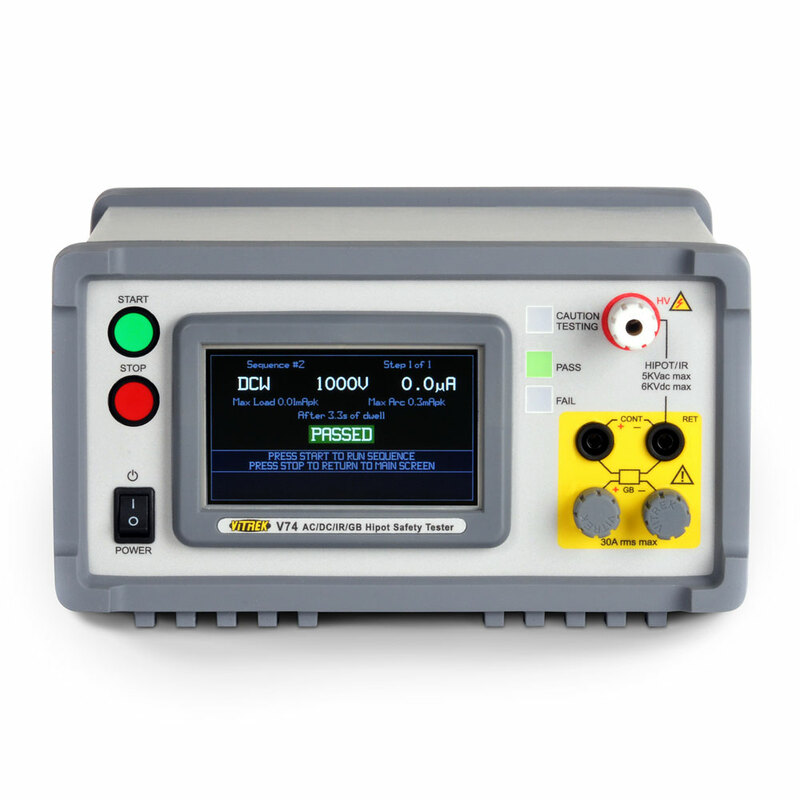 For leakage current measurement, the V7X Series deliver rock-solid resolution down to 100nA. For high voltage cable and component testing, choose V75 with 16 channels of built-in high voltage switching. 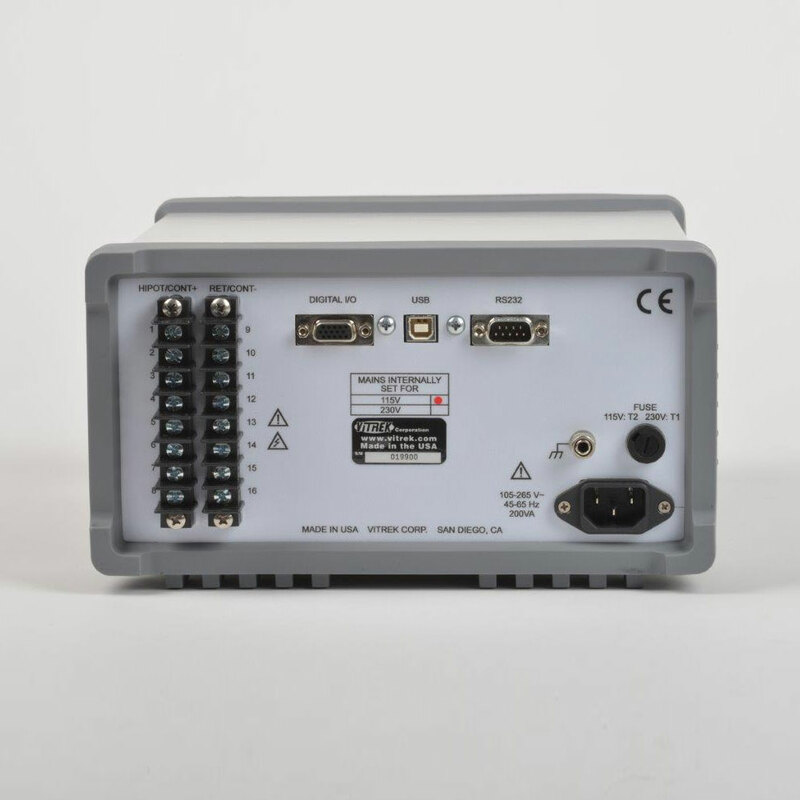 With the versatile V75, an user can test hipot or IR for any combination of up to eight test points and an user can measure low resistance (from 0.001Ω to 60kΩ) on up to eight conductors. For requirements exceeding eight points, the V7X Series can control up to four Vitrek 964i 64-channel HV Switching Systems – providing up to 256-channel of hipot test capability. Vitrek V7X Series meets UL, CSA, TUV and IEC hipot requirements and CE Safety Mark Certified to EN61010.